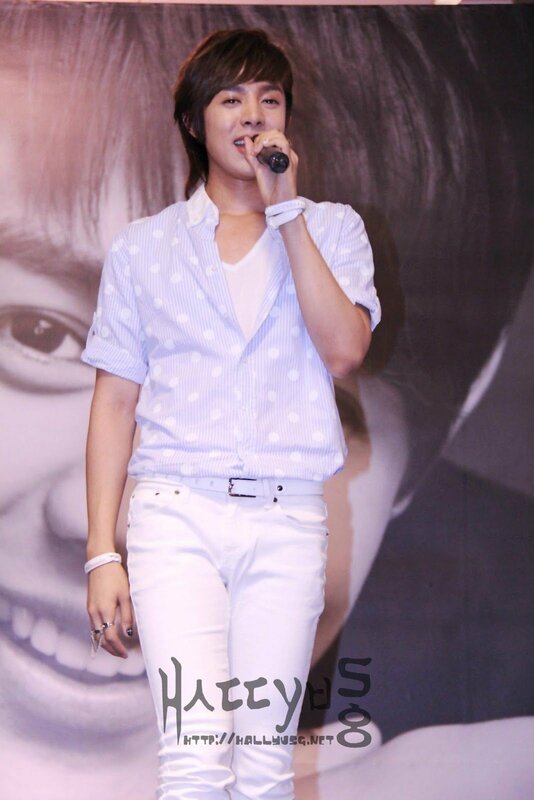 This visit to Singapore was definitely worthwhile for Alexander, the former member of K-pop boyband, U-KISS. More commonly addressed by the fans as Xander, the singer who is presently pursuing a solo career came to Singapore some two weeks ago and was greeted by a large group of fans at the airport. Excited and overwhelmed were his reactions, as the humble singer claimed that he wasn’t expecting the massive turnout of fans who waited for his arrival that evening. 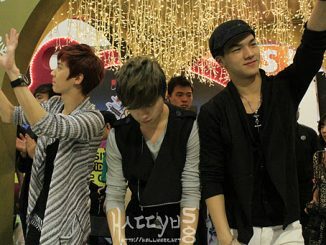 The following evening saw hundreds of fans forming a queue at the IMM Garden Plaza where the autograph session was held. Fans of Xander were armed with multiple gifts, letters and fan-boards, appearing all eager to welcome the idol on stage before the fan meeting commenced. 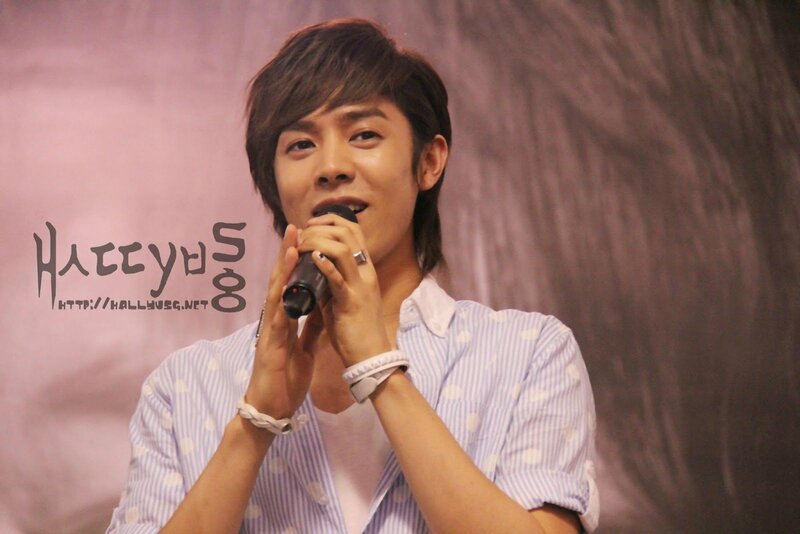 Clad in a casual outfit, Xander greeted the fans in several languages such as Korean, Mandarin, English, Cantonese and not forgetting Singlish – the language slang used widely in Singapore. He was seen on all smiles throughout the photo-taking session as well as during the fansign that evening, interacting with every single fan who came on stage to get their posters signed. 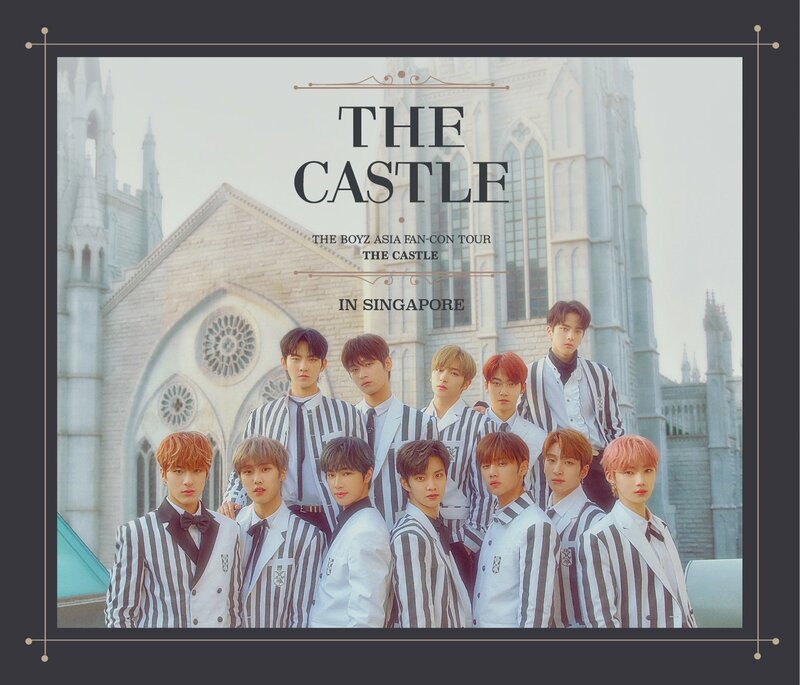 Besides local fans, there were also international fans who came all the way from Hong Kong, Malaysia and Indonesia in support of the star as well. Seeing the singer performing live in front of them was perhaps the best gift Xanderettes could ever ask for. It probably meant much more to them since Xander’s last performance in Singapore, which was together with his former bandmates back in November 2010. The fan party that took place on the next day at Movida, St James Power Station was a lively and heartwarming one, as fans had the opportunity to interact with the star at a close distance. Xander performed a number of songs, including “Bad Girl”, “I Just”, “Kimchi Song” and “Oh! Baby”, much to the delight of the fans. During the game segments, which included a ‘True & False’ section, he also revealed some secrets about himself, such as his love for durians and preferences of roses among the flowers as well as cute and hot girls over pretty girls for his ideal type. The spontaneous use of Singlish (Singaporean slang) during the fan party made it even more enjoyable and amusing as Xander tried all sorts of ways to deliver the slang. Xander was also presented with a birthday song, a durian cake, and a fan-made video during the ending segment of the fan party. What makes the video so special and memorable is its contents, which portrayed the journey of Xander as a singer. 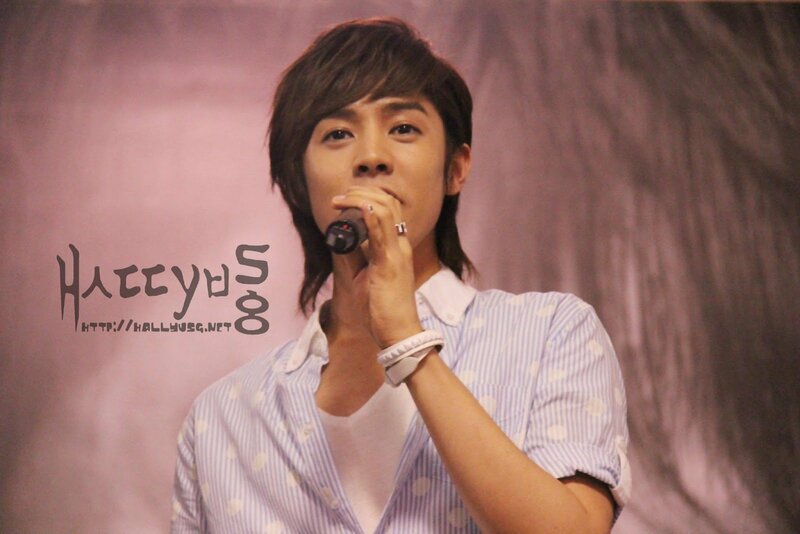 The intimate fan party concluded with Xander’s “buuing-buuing” expression – a wish that he granted the fans before leaving the stage. After this fan meeting in Singapore, Xander plans to visit Indonesia and Philippines as part of his Asia tour and revealed that he might be participating in an upcoming drama project which will be filmed in China. We wish him all the best and certainly hope that he will visit Singapore again in the near future! 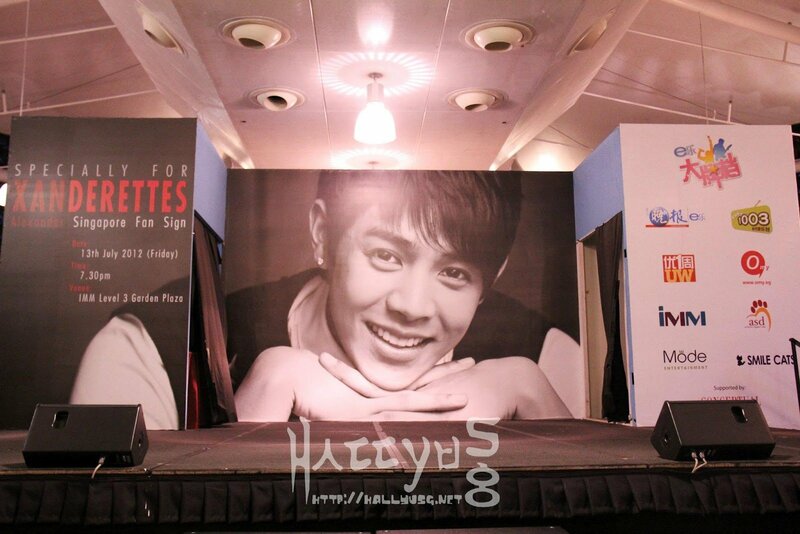 Special thanks to Mode Entertainment for the opportunity to cover Alexander Fan Meeting & Fan Party in Singapore.